The pharmacy is fast becoming a central part of the health care system in Ontario. In many cases, people are visiting pharmacies not only to have their prescriptions filled but also to have flu and other shots administered, health consultations with the pharmacist, and non-narcotic prescriptions renewed. With these additions to the scope of practise of the pharmacist, the need and value of having a Regulated Pharmacy Technician (RPhT) on the pharmacy team is even more apparent. In most pharmacies there will be assistants, pharmacists and technicians all working together to assist with the patient’s prescription needs. The RPhT is the newest designation in the pharmacy setting with a role that is incredibly important in ensuring the pharmacy is operating efficiently and effectively. The scope of practise of an RPhT includes preparing prescriptions, double-checking prescriptions for release to the public, receiving and transferring prescriptions, and weighing, counting, pouring and even mixing medications. These professionals are able to prepare IV admixtures, TPN solutions and chemotherapeutic agents with aseptic techniques. 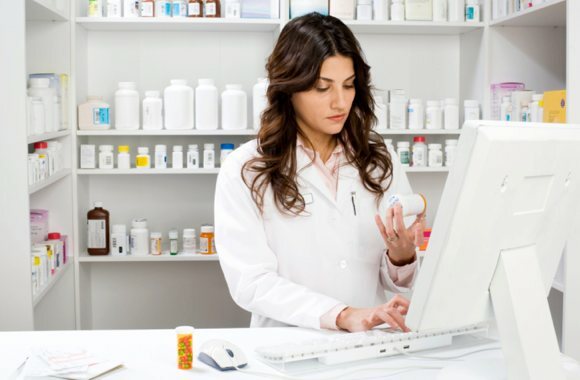 Pharmacy technicians possess pharmacy-specific knowledge and play a role in the administrative side of the pharmacy as well, including maintaining patient profiles, monitoring inventory and stock levels, and preparing and receiving orders. In all, an RPhT is able to perform about 80% of the duties of the pharmacist. A Registered Pharmacy Technician maintains a license and works within a specific scope of practise. To obtain this license, an individual must graduate from an accredited program and complete three different licensing steps. Two of these steps provide national certification while the third is provincial. This third step comes in the form of a jurisprudence exam that covers the scope of practice and the laws under which the technician will work. Should an RPhT relocate to another province from Ontario, the technician will only be required to write that province’s Jurisprudence exam. This license is portable across Canada and allows the holder to enjoy great flexibility in where the technician chooses to practise. Over the past 18 months, Workopolis has reported an almost 200% growth in the number of available Pharmacy Technician postings and positions; this is attributed to two major factors. First is the requirement that personnel working in a hospital pharmacy obtain a Pharmacy Technician license by January 1, 2015, and the second is the undeniable impact on efficiency this position has had on the pharmacy setting. More and more job postings for pharmacy positions are looking for licensed and regulated technicians and their specialized skills. These opportunities for careers and employment are projected to have continual growth. To learn more about the local career opportunities for pharmacy technicians in your areas, visit http://www.ctsccc.com/pharmacy-technician/ and request further information today.